Hit by the Great Recession in 2008, star developer Michael Shvo did something most people in the industry don’t know how to do: He took a five-year break from the business and spent time focusing on art and non-real-estate-related endeavors. Five years later, he came back in a new incarnation — this time as a developer — and cut a rush of deals. Shvo had been a very successful broker and building marketer, but he raised his professional stakes by investing his own money, in some cases with financial partners, to buy and build a new generation of premier New York real estate projects. Shvo will join attendees in conversation at Global Connect on April 7 in New York City at the Mandarin Oriental to talk about the trends and threats to high-end real estate development and what developers, marketers and brokers must do to move projects through the pipeline to closed sales. Shvo is based in New York City, with branch offices in London, and Dubai. He is the CEO of SHVO, a real estate development company he founded in 2004. He is known for his development of high-end properties. Shvo was raised in Arsuf, Israel — both of his parents were chemistry professors. He completed his military service in Israel and received a Bachelor of Arts in finance at Bar-Ilan University. In 1996, he emigrated to the United States from Israel with only $3,000. He initially managed a fleet of taxis prior to landing a job as a real-estate broker with Douglas Elliman. In 2003, at the age of 30, he hit $300 million in sales from more than 400 deals, becoming the firm’s top broker. 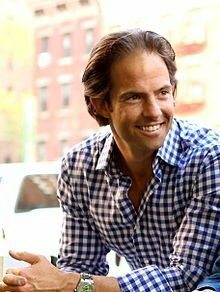 He left Elliman in 2004 to launch his own international real estate marketing firm, SHVO. From 2003 through 2008, Shvo did $15 billion in real estate transactions worldwide, including Nurai, a private island off the coast of Abu Dhabi. Additional developments in New York included the Bryant Park Tower, The Lumiere on 53rd Street in Manhattan, Gramercy Starck (designed by Philippe Starck), Jade by Jade Jagger, Fultonhaus, Amangiri in Utah and Nizuc in Mexico. His trademark was marrying fashion and real estate with his project 20 Pine Armani Casa, where Armani was hired to design the interior of the building. When he got back into the market in 2013, his first move was purchasing a Getty Oil gas station at the corner of 10th Avenue and 24th Street in West Chelsea, Manhattan. He paid $23.5 million for the property, which was a record price for per buildable square foot in Manhattan. Prior to the development of the property, Shvo turned the former gas station into a public art space.The inaugural show “Sheep Station” featured a white picket fence, grass and trees around the gas pumps, and 25 grazing concrete sheep sculptures by late artist François-Xavier Lalanne. Shvo acquired eight properties in 2014 in SoHo, including parcels located between Varick Street, Broome Street and Watts Street. He paid $130 million for the site with plans of turning it into a 30-story residential tower. In August 2014, Shvo made a large land acquisition totaling approximately $240 million to develop one of the tallest towers in New York City and the tallest residential tower in Lower Manhattan. The project site is in direct proximity to the new World Trade Center complex with proposed plans for the tower to rise upwards of 1,356 feet. In January 2015, Shvo went into contract on an acquisition of an island, Matt Lowe’s Cay, in Abacos, Bahamas, comprising 50 acres and seven private beaches. Later last year, he also acquired the majority of the Crown Building located at 57th and Street and 5th Avenue. General Growth Properties and Wharton properties acquired the retail part of the building. The $1.8 billion purchase was one of the largest in New York City real estate history. Michael Shvo’s $1.8 billion purchase was one of the largest in New York City real estate history.